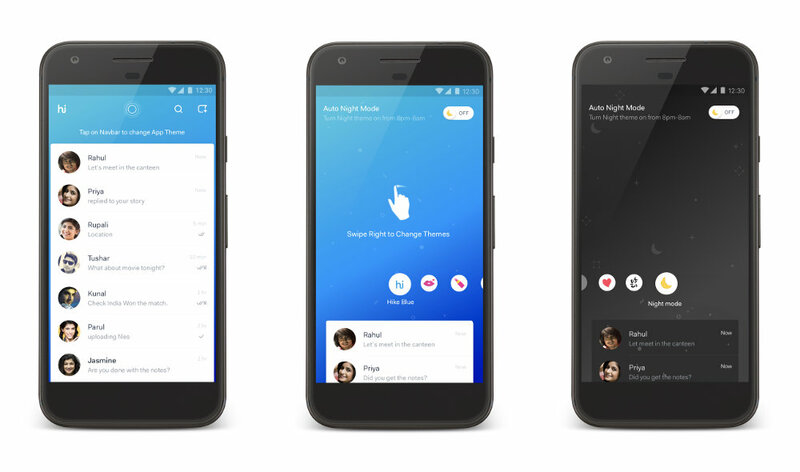 Hike Messenger, the home-grown messaging app from Bharti Softbank launched a big update to its app iterating it with the version 5.0. Hike has always been a different messaging app which has offered new ways to communicate different than just text. Hike 5.0 is about everything new. With a brand new visual interface, Hike has focused on personalisation capabilities quite a lot with ‘App Themes’. Along with 11 options, there is a ‘Night’ theme which as you might have already guessed, offers a dark theme to reduce the glare coming off the screen. There is another nifty addition to Hike 5.0 which is called the ‘Magic Selfie’ feature. Hike’s camera now smoothens your skin and makes it radiant from any angle right there from the app. Hike also brought stories to its app similar to Instagram Stories and Snapchat Stories which disappears within 24 hours of posting. But the biggest addition to Hike 5.0 is Hike Wallet. We don’t honestly understand the requirement but Hike now has a wallet right within the app. Bank-to-bank money transfer via UPI and Wallet to Wallet money transfer for those who don’t actively use a bank account. Blue Packets: A Blue Packet is simply a beautifully designed envelope that users can insert money into and send to their friends. Users can choose from over 10 different beautifully crafted envelopes and also add a personalised message to it to celebrate those special occasions. A Blue Packet can be sent to an individual or even a group of friends. If you give Blue Packets to a group of your friends, you can have a little fun and select how many people in the group should get it. It works on a first come first serve basis and a Blue Packet when sent expires in 24 hours! 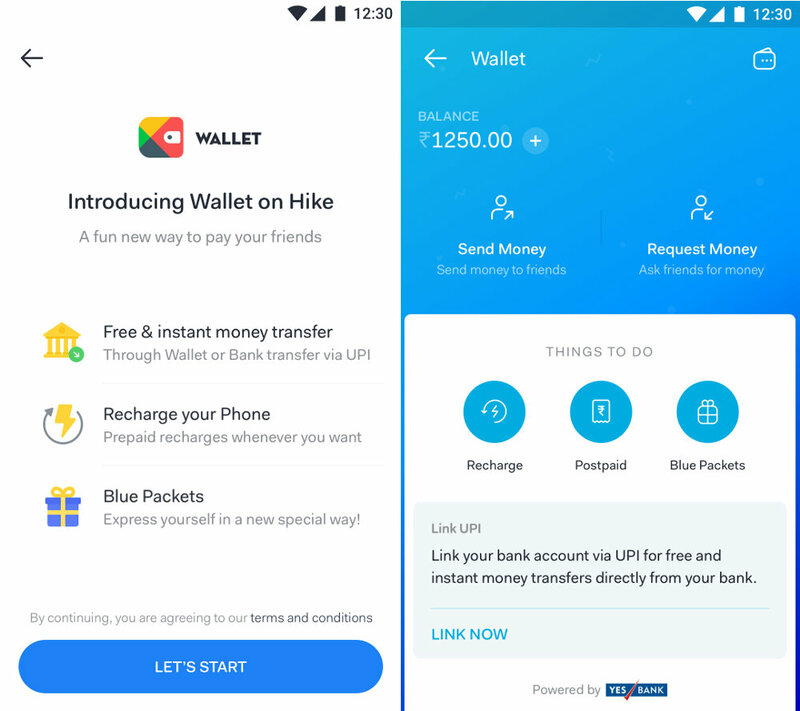 With Hike 5.0, users can now recharge their phones and pay their postpaid bill right from inside Hike. All this is now available on Hike 5.0 which surprisingly reduces the app size to 25MB from 40+ MB earlier. The app has also added 128-bit SSL encryption that ensures that communication across the air and wire networks, is completely encrypted. It’s available to download on Google Play Store.